We are including in manufacturing and services in clean room equipments. Laxmi Pharmamach Sampling and Dispensing Booth protect the operator when weighing or Sampling of products containing active agents. The weighing precision is not affected. At the same time, the products are kept sterile and particle free. The weighing cabins can be used for on-site tables as well as floor scales. 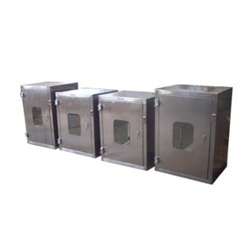 We are reckoned entity of this domain indulged in providing an enhanced quality Dispensing Booth. 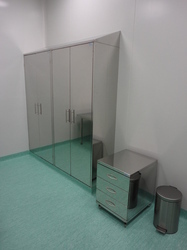 The company for long been providing Clean room equipment and allied equipment to buyers all across the globe.